It's now easier than ever to compare insurance quotes and find the best possible prices on car insurance, life insurance policies, household cover and medical aid plans. But how do you know you're getting the best deal? 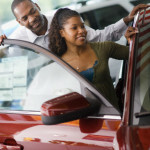 Choosing the right insurance means selecting products that meet your individual needs and also offer fantastic value. Mzansi Review is committed to keeping our loyal readers informed about great offers and innovative insurance products, while striving to keep consumers on top of the latest news and trends. The internet has totally transformed the South African insurance market. It's so easy to get free, instant quotes that anyone can save on insurance. Mzansi Review helps you make an informed choice.